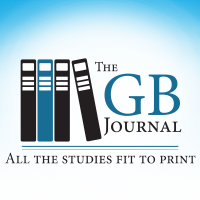 GB Journal: It's the Doctors, Stupid! 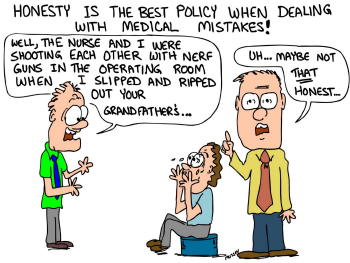 Is it really that important which doctor you direct an injured employee to see, as long as the provider is in your PPO and you're getting that discount? No brainer, right? Er, well, let's take a look at a research study just published in JAMA Surgery. This is a very serious medical journal and the information in this new study, "Variation in Surgical Outcomes Across Networks of the Highest-Rated US Hospitals," is very serious indeed. What the researchers looked at is the breadth of variation in the surgical practice quality just among doctors admitted to practice at top-rated hospitals. You'd think that all the surgeons practicing at a top level facility like a Cedars-Sinai or a New York Presbyterian would be equally good, but when the research team looked at outcomes measurements for some 134,000 Medicare patients, they found something else. They looked at the measures that mean something - mortality, nosocomial (hospital acquired) infections, complications, readmissions, "never events" - and they found dramatic variations inside every dimension reviewed. In most cases, the variations were three to five-fold. The point? How do you know that the providers you and your carrier or TPA are directing injured employees to visit are the good ones? A four-fold difference in surgical outcomes can be the difference between a timely RTW and a PTD settlement after a protracted disability period. Even within the same group practice affiliated with a top ranked hospital, there are doctors you don't want handling your people. Is your network built on the basis of serious doctor by doctor outcomes measurements - or something else? The difference? Your humble scribe went to a health plan network facility for major surgery, but a never event* occurred. I bled out on the table. (Yeah - dead, kaput, over there.) Gallons of blood later, they brought me back, but that meant a week in the ICU and months longer to RTW. A planned three weeks off work turned into two and a half months. Consider that next time you talk about provider networks. *Never event: the kind of mistake that should never happen, like ripping open a major artery. Lots of nurses: case management makes a difference, provided that claims needing intervention are identified early and both adjusters and employers overcome their fear of necessary ALAE. Worker advocacy: the great majority of injured workers are not trying to play the system. Trusting claimants in the absence of compelling evidence to the contrary gets better results and moves claims along faster to RTW or settlement. Wellness: while many wellness programs have anemic ROIs by conventional accounting, the fact remains that the aging American workforce has more comorbidities with every passing day to confound the recovery process. Anything employers can do to boost overall workforce health is important. Get techie: innovations such as smartphone apps for claimants which help people navigate and understand the system and their RTW process are coming online. All we need now is for employers and employees to embrace them the way they use Amazon ("Alexa, what does compensability mean?"). We all know the conventional definition of insanity. Oddly enough, doing the same thing over and over and expecting better results did not originate in workers' comp. But it certainly has lingered in that venue. The consensus of this new project is clearly that new thinking is the one avenue by which we can stem the tide of ever-rising medical costs in comp. How many new ideas have you discussed lately with your broker, carrier, or TPA? 1927, 1993, 2011, and 2019 - quick, what do these years have in common? The answer: record setting floods. True, 2019 is just getting started, but it has already burst from the gate at a record pace for so early in the extreme weather season. Some areas in the northern Great Plains have already had over two times their normal snow and rainfall. Nebraska, in particular, endured major spring flooding before spring even arrived on the calendar. According to the National Oceanic and Atmospheric Administration, nearly two-thirds of the lower 48 states will have an elevated risk of some flooding from now until May, and 25 states could experience "major or moderate flooding". This isn't just another breathless weather bulletin from your local Eyewitness News station. According to last year's Fourth National Climate Assessment, we are seeing the new normal predicted by a raft of climate change studies. A simple rule of atmospheric physics: warm air holds more water than cooler air. The point for risk planning is obvious. Take a long look at what's happening this spring and count on - and insure for - lots more weather just like it. As we've noted in earlier issues of this Journal, hydrologic maps are being updated wholesale. Don't assume that what you knew about your location flood risks and supply train business interruption potential a few years ago still applies. For most of the US nowadays, it's a wet, wet world. Don't get soaked. The California Workers' Compensation Institute has published its first report on the impact of California's new drug formulary. As those of you with comp exposures in the Golden State probably recall, California passed AB 1124 which directed the state's Department of Workers' Compensation to implement a drug formulary for workers' comp claims back in 2015. The formulary slots all drugs into one of three categories Exempt, Non-Exempt, and Not Listed. The heart of the new program is the MTUS (Medical Treatment Utilization Schedule) which uses Evidence Based Medicine standards to establish normal expectations for frequency, strength, duration, and appropriateness of prescriptions for specific injuries. The new program took effect January of last year. We now have a year (more than 658,000 prescriptions) of real-life results to study. What happened? The use of Exempt drugs (no UR required) went up slightly; the use of Non-Exempt drugs (UR required) fell by about 20% from the previous two years; and the use of Not Listed drugs (evidence of appropriateness required) went up substantially. In short, the results thus far are mildly positive but also somewhat opaque since the largest change in usage fell to the Not Listed drugs which may or may not be clinically indicated in a specific claim situation. The decline in the usage of Non-Exempt drugs is certainly good news but it is not dramatic. Overall, the first year out for AB 1124 is promising but we should all remember that it takes about three years of real claims for new regulations to mature. Is the problem of inappropriate prescribing in California fixed or fixed just well enough to be glossed over? Stay tuned.